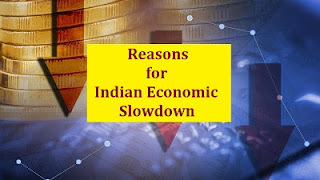 Home / National / National Topics / Indian Economic Slowdown - Is it a long term problem? India, especially during the global economic meltdown was being hailed as a global bright spot. However, the recent figures of the first six months of 2017 reveal that India has lost its tag of the fastest growing economy of the world, with its GDP falling from 7.6% when Prime Minister Narendra Modi swept into power in 2014 to a measly 5.7% during the quarter April-June 2017. The 2% drop in GDP effectively translates into a sum of around Rs 2 lakh crore. It is the slowest pace of economic growth in the previous three years and the analysts say that the road to recovery is steep and uncertain. Two major reasons being ascribed to the economic slowdown are sudden ban of 86% of the country’s currency, and an unprepared, ‘hasty’ implementation of GST. Dr Manmohan Singh, the former PM had predicted a fall in GDP by 2% when he had called the ‘Note ban’ an ‘organized loot and a legalized plunder’ in Parliament last year. It may be noted that the informal, small scale sector in India, which relies on cash transactions for its business constitutes 40% of the country’s GDP and 90% of the job market. An abrupt ban of a major chunk of the currency put this sector completely off the rail. Demonetization did not met any of its intended goals as suggested by the government to the desired limit, as 99% of the illegal tender has come back into the system as legitimate currency. The RBI has pointed out during its fourth bi-monthly monetary policy review of 2017-18, that the implementation of GST has had an adverse impact on manufacturing and is likely to account for a delay in investment revival. 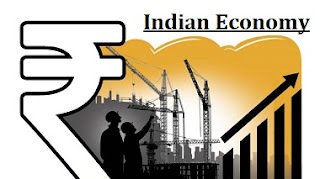 RBI forecasted economic growth to 6.7% in the current fiscal, from its earlier projection of 7.3%. Growth of the manufacturing sector, which makes up 77.6% of the industrial production measuring index, decelerated sharply to 0.1% in July compared to 5.3% in the same period of 2016. Besides, GST has put an additional burden on the common man as prices of 80 per cent of goods and services have increased. While the industry is happy with GST as they get input returns on raw materials, the traders and small economy is feeling frustrated with the nitty gritty’s of GST and the Service sector is in a state of shell-shock to meet the mandates of GST. All in all, the teething problems of GST are a major stumbling block for economic growth. In order to boost growth, consumption needs to be bolstered, for which the industry need to be incentivized so that manufacturing resumes. However, the government wants to rein in fiscal deficit (gap between earnings and expenditure) by curtailing public expenditure. The banks in spite of being flush with currency after demonetization are unwilling to drop lending rates. The foreign and domestic investors are not willing to take any risk with further investment due to the uncertain business environment. Hence, a vicious cycle of monetary crisis is contributing towards the economic slowdown. Boost Public Investment. Government needs to adopt a strategy which delicately balances the need to push public investment, while keeping the fiscal deficit under check. Public and departmental enterprises that can spend on infrastructure should be asked to speed up and enhance their capital expenditure. Restore Investor Confidence. The government must iron out the wrinkles under the new tax regime expeditiously to restore investor confidence. The investors are facing a liquidity crunch due to delays in GST refunds and upfront payment of GST on inputs. Private sector investments must be encouraged by giving suitable incentives, in terms of soft loans, reducing red-tapism and improving ease of doing business. Revive Consumer Sentiment. Policy makers must address the declining demand for Indian products, both at home and overseas. A wise mix of public spending and a lower interest rate regime could help India fire demand at home, especially with the festive season around the corner. Boost Exports. Exports constitute around 20% of India’s GDP and a slump in exports is aggravating the economic slowdown. Appropriately addressing the taxation issues will assist exporters in a major way. Focus on Key Sectors. Government must provide extra stimulus to certain sectors in which India has carved a niche for itself in the global arena, like pharma, medical tourism, education, etc. The same will provide a vital nudge to the flagging economic growth. Notwithstanding, the not so good economic figures that have been recently put up in the public domain, the macro-economics of the country are still not so bad. The foreign exchange inflow is at its peak, i.e. $32 billion, the total foreign exchange reserves at a record high of $400 billion, banks are flush with nearly 1.7 trillion notes that have come into the system after demonetization. The optimists believe that it is only a temporary slowdown in the Indian economic growth story caused by the twin jolt of demonetization and inadequately planned implementation of GST. A good monsoon, continuing low oil prices, getting over the hump of demonetization and stabilization of GST regime is likely to revive the economy in the ensuing quarters.